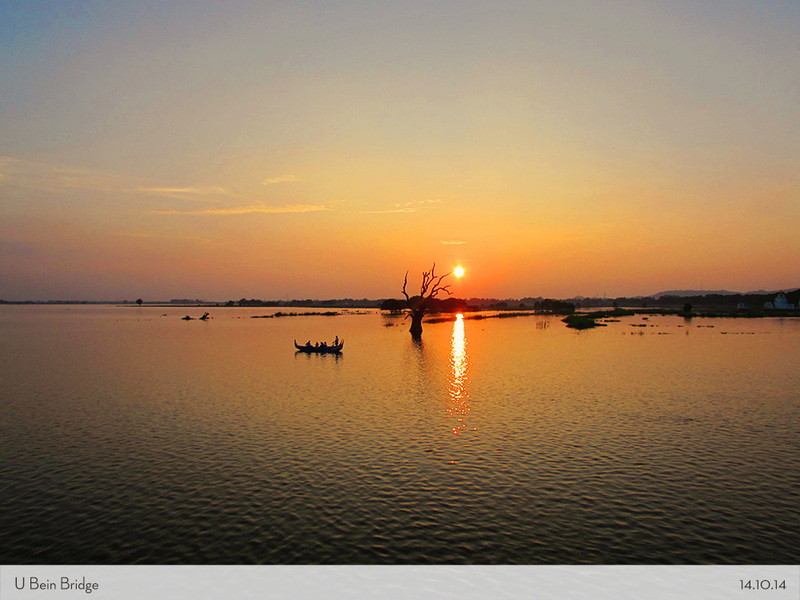 Mandalay is famous for its historical places of the last Burmese kingdom. 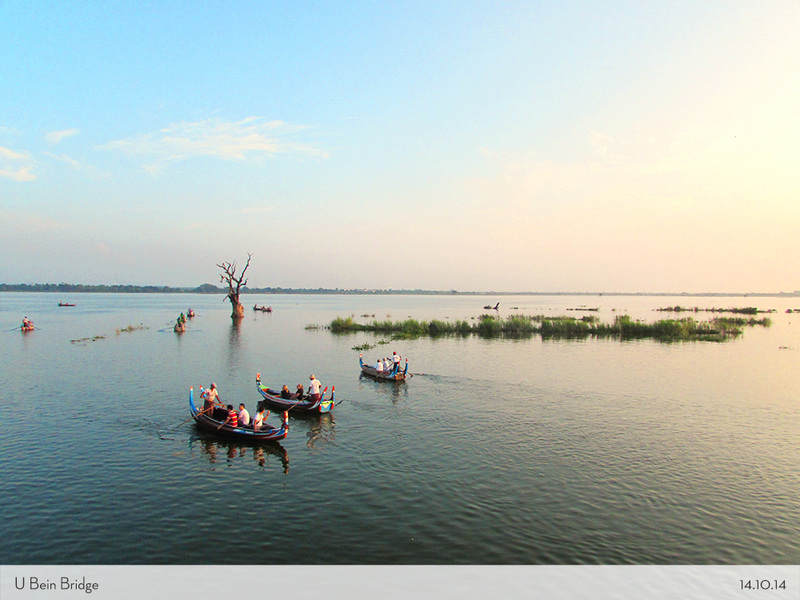 That’s the reason we wanted to visit Mandalay in the first place. 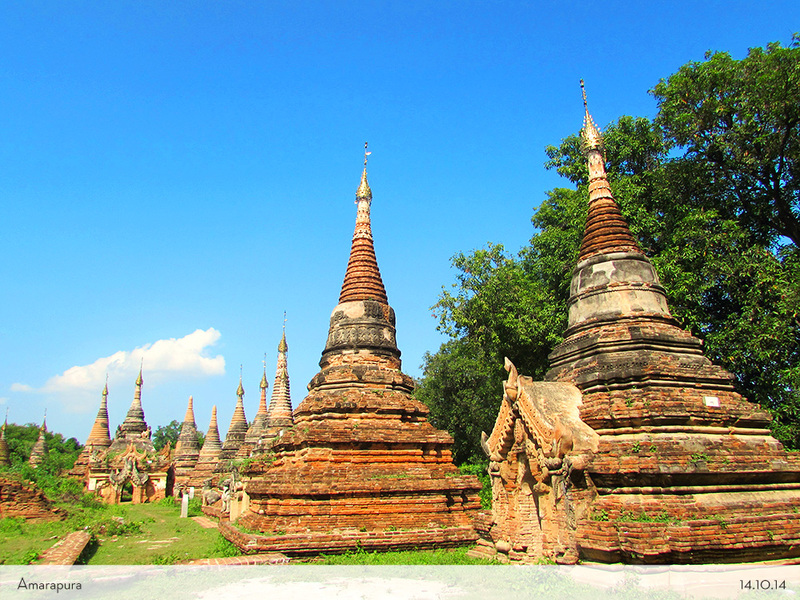 It has so many interesting spots to learn the real Burmese ancient history. The palace, the hills, the ancient cities around, oh so many good places to start! 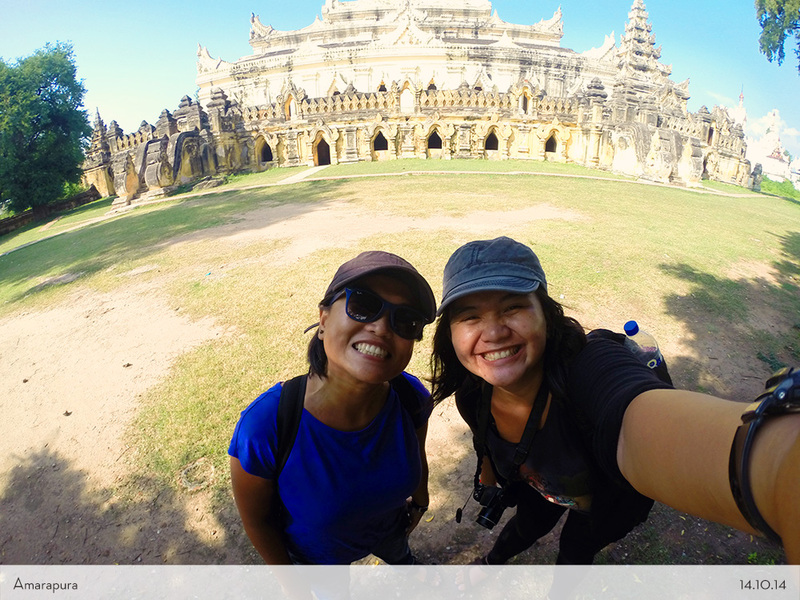 The second day after we arrived in Mandalay, I and Arma were wandering around with the motorbike for one day (Again with the manual gear! Yay!) We were so excited to visit a couple of temples! 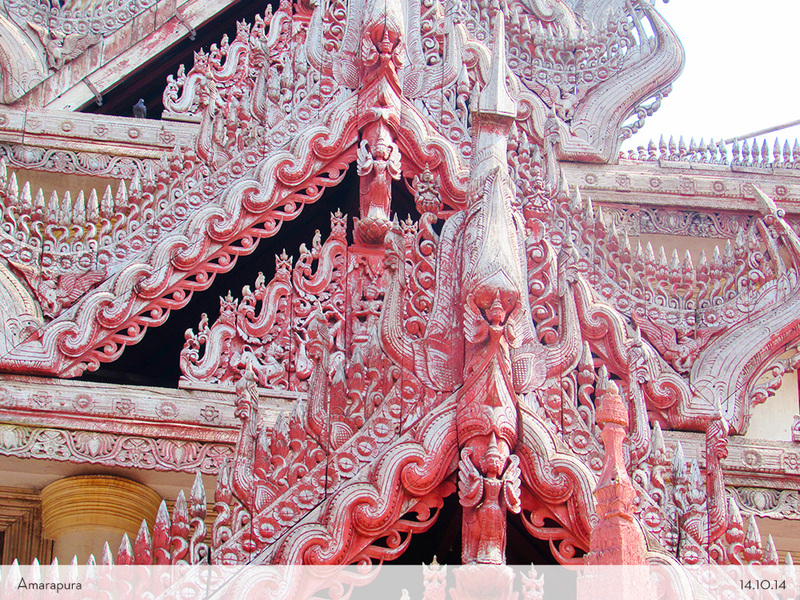 Did I ever tell you how crazy beautiful the details of the temples in Myanmar? 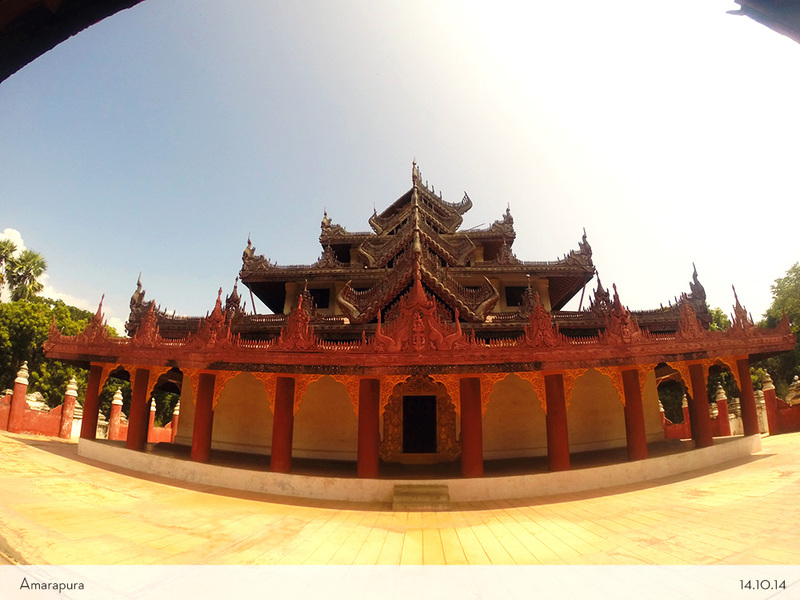 Mandalay was our first stop and we have already blown away with the first temple. Oh man! How could your jaw not dropped when you see these We were a bit cranky because we got lost several times and we don’t have any internet available. Handphone were just booming when we got there 😮 Myanmar is still poor on technology. So we don’t have any GPS nor google maps to find our way. Time moves so fast when you were in the midst of nowhere, and so the sun began to settle down. 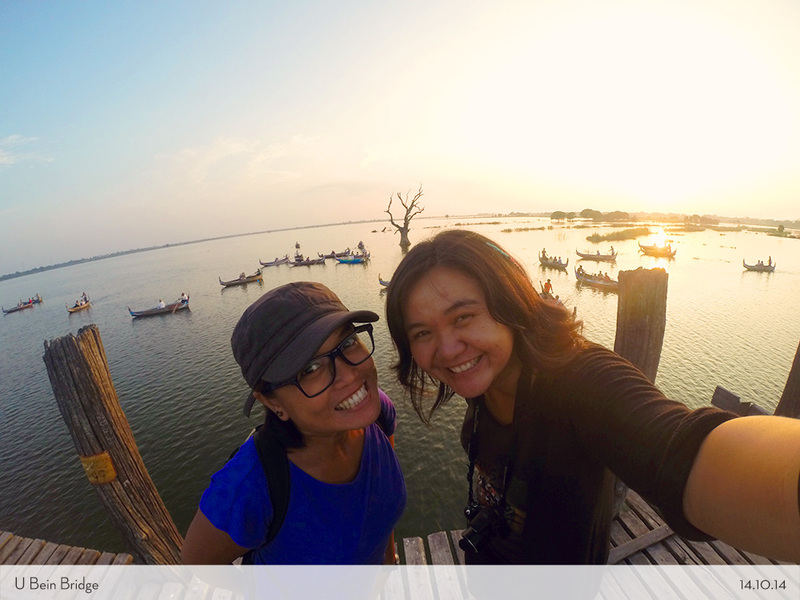 So we finally end our day trip in Amarapura where this famous bridge was located. 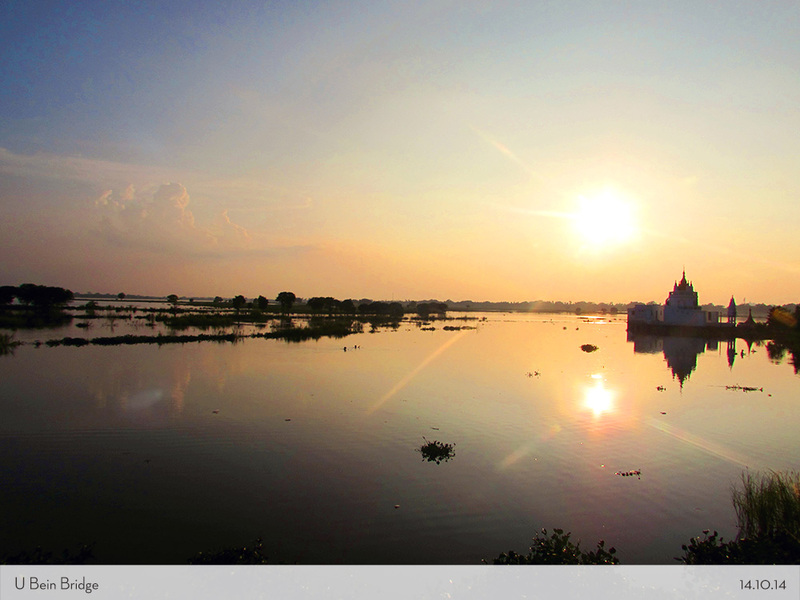 Locals said it is best viewed during the sunset. It would be a perfect spot to rest and relax after a headache we got on the road. 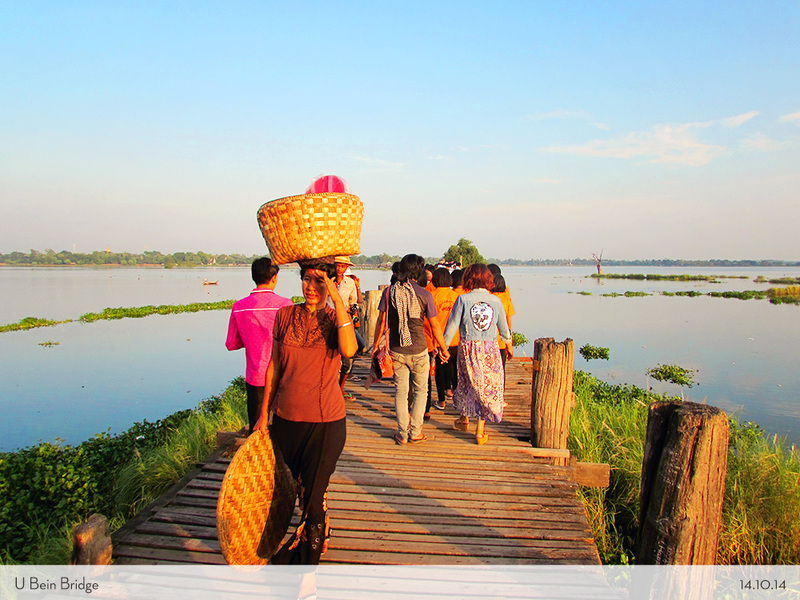 The name of the bridge is U Bein Bridge. 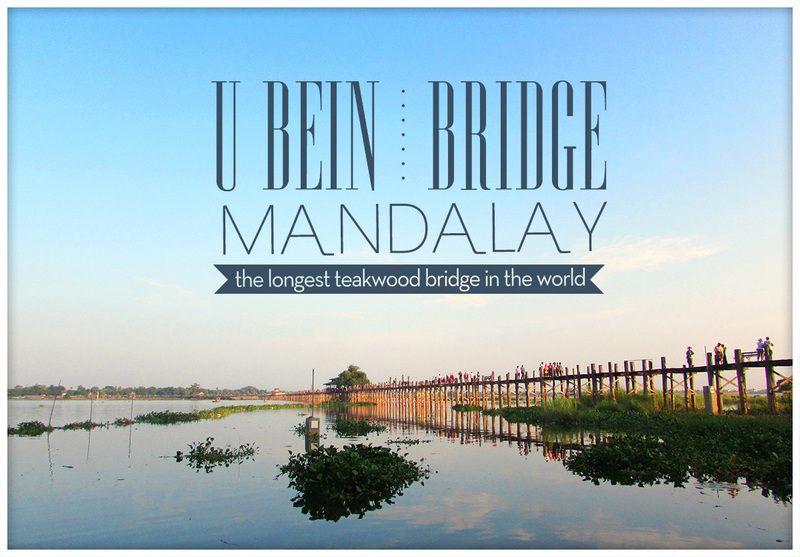 It is said that to be the longest and oldest teakwood bridge in the world. 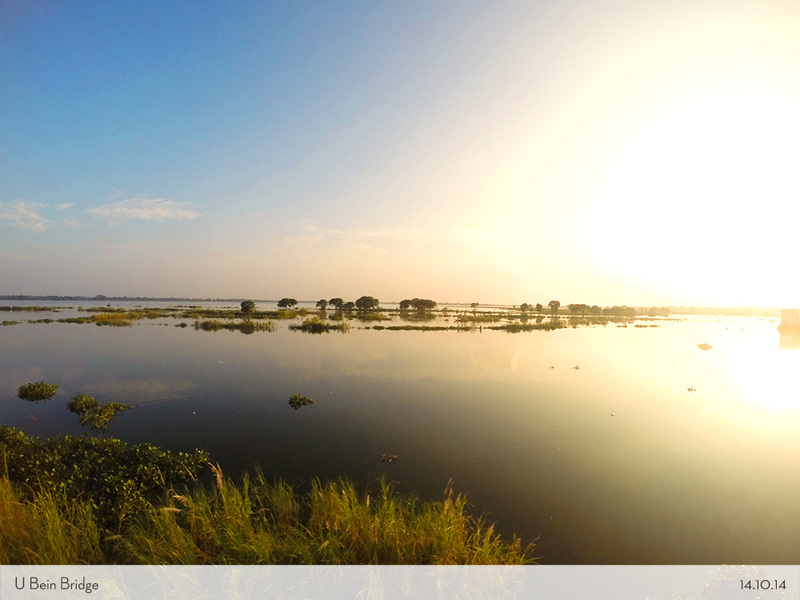 It connects the Taung Tha Man Lake for more than 1 km since the ancient kingdom of Burma called the Ava Kingdom. It is a very super duper long bridge! 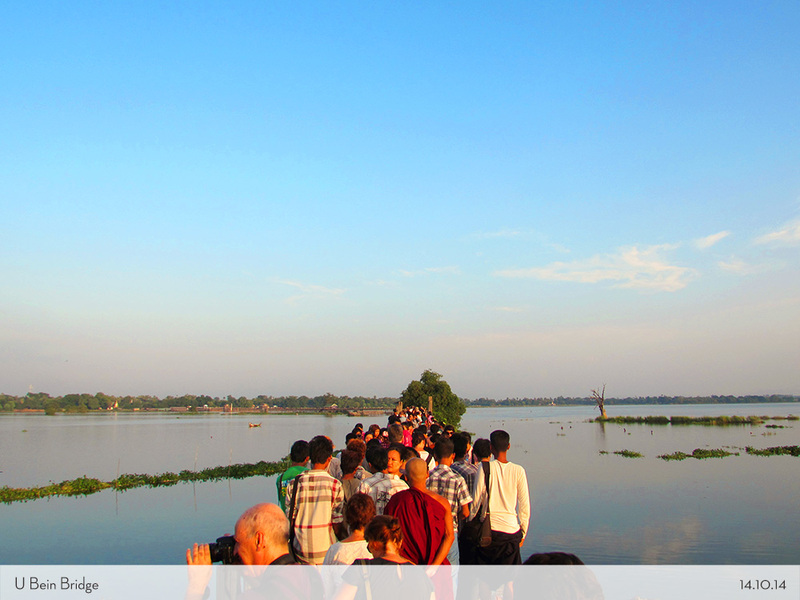 And we just couldn’t believe that it was made by wood and THAT plenty of people were crossing by and still SAFE? Wow! How the hell did they make it back then? See how it can still amaze me? When we got there, of course, it was already crowded. I have to say it was full of a scare. The bridge was really vulnerable, you could literally hear the wood’s creaking sound. I had a bit of doubt. But the thought of watching the sunset from the bridge didn’t stop me. It wasn’t the sunset yet, but the scenery already blew us away. The sunset was the prettiest view I have ever had in Myanmar. Some tourist rent the boats to circle some spot and they even waved to the people on the bridge. We spent almost 2 hours sitting, walking, took pictures, and then just put ourselves in silence watching the sun goes down. It was stunning. Don’t you agree? Sunset always made my mind wander around somewhere. Future, present, and the past that made us reached here. The scenery made us feel so nostalgic. 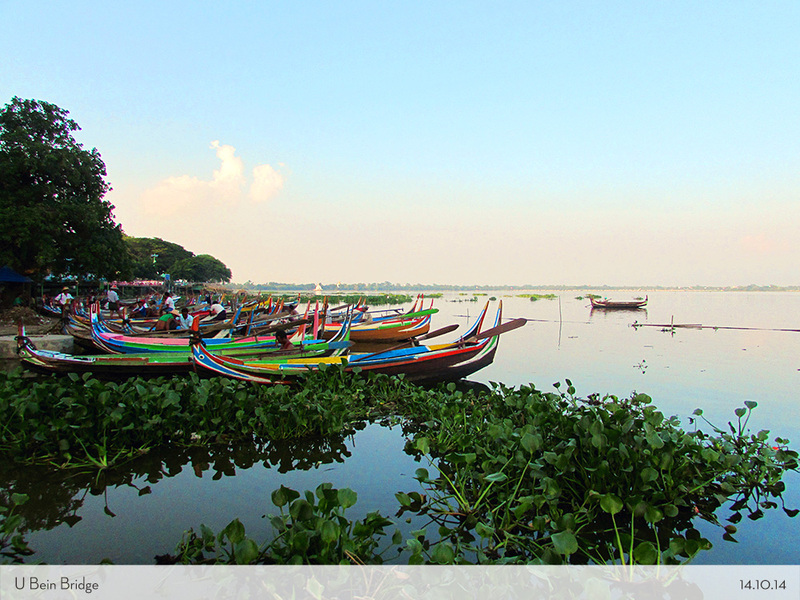 I looked around and saw many locals giggled and had fun with their friends and partner. I also noticed a couple of locals were still fishing and swimming on the lake. Several monks crossed the bridge, plenty of elderly tourists visit by, and so many photographers trying to capture the beauty. 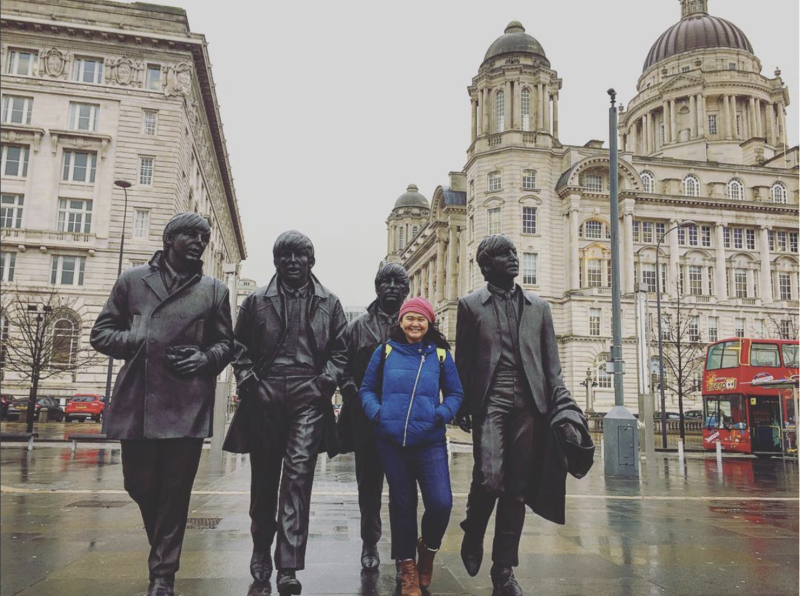 Sometimes I just couldn’t believe that I made it here with my best travel buddy ever in this country. 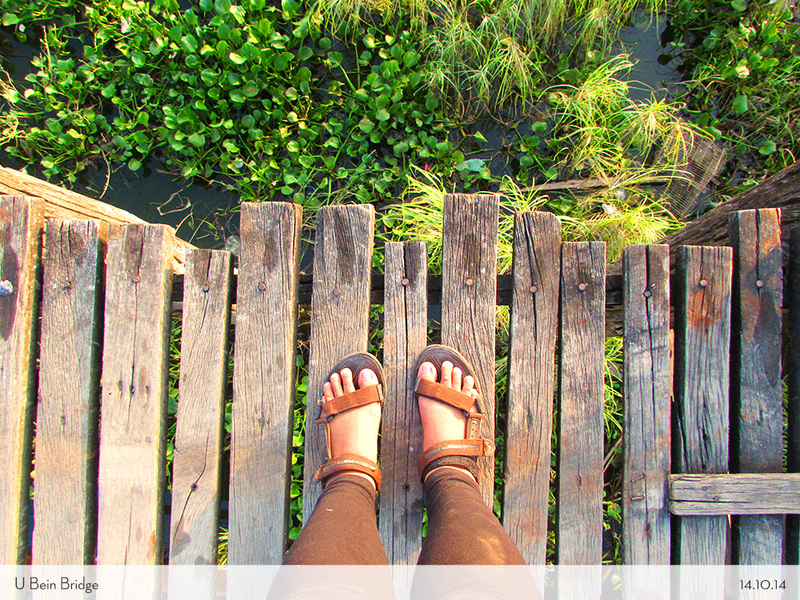 I could spend hours in the afternoon just sitting by on the bridge, watching the locals and the sunset goes down. I guess we had a nice closing on that day with these amazing views. 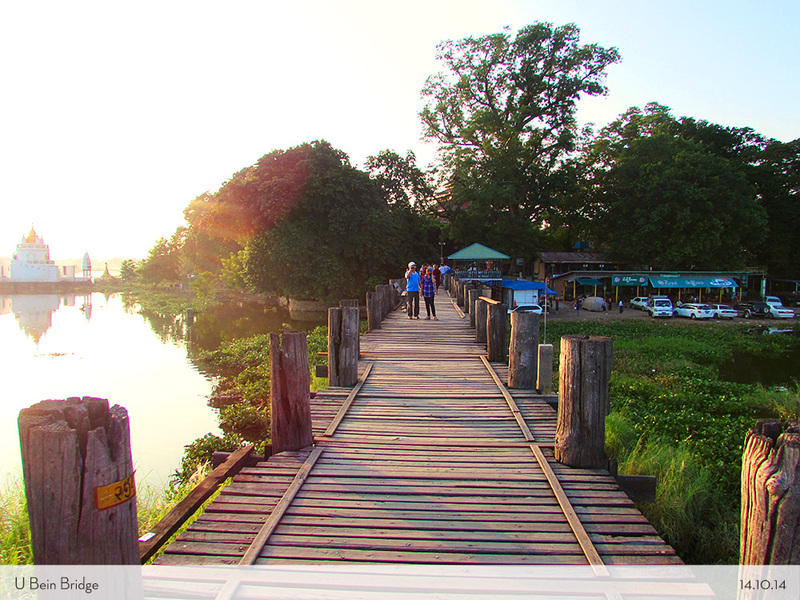 After being recommended by the manager of the hotel here, we decided to make a circle trip to Inle Lake. If this is already pretty, I bet the next one will be awesome! Perfect sunset ever. 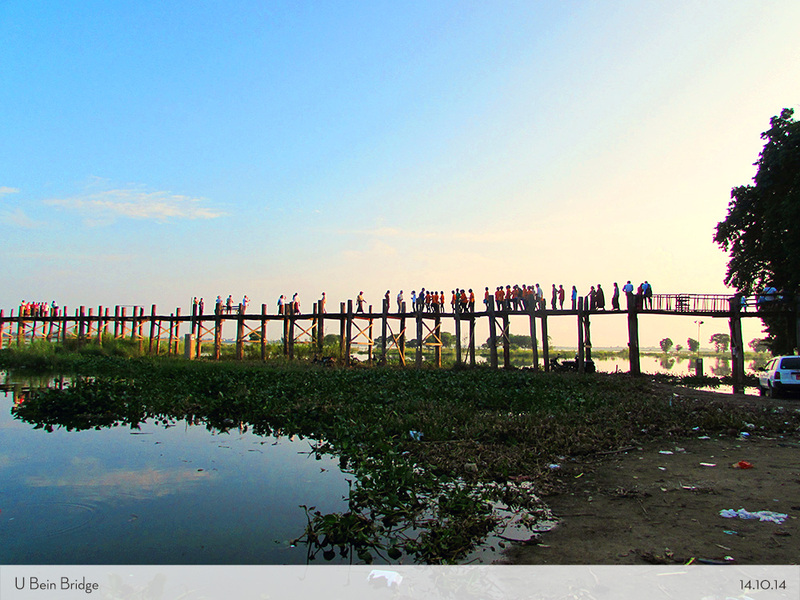 So put this bridge on your list if you reached Mandalay, yes? Thank you Nug! Will do! 🙂 Ayo kamu juga nyusul kesana one day!